Fed up of those match three puzzlers that crank the difficulty up so high that you’re pulling your hair out? You should give Marble Viola’s Quest a try then, as it errs more on the side of relaxing than frustrating. You have to fire a bunch of coloured marbles out of an insect’s mouth to match with two or more of the same coloured marbles slowly making their way around a snake-like circuit and out of a cat’s mouth. Match marbles together and they burst, giving you a nice boost in score. 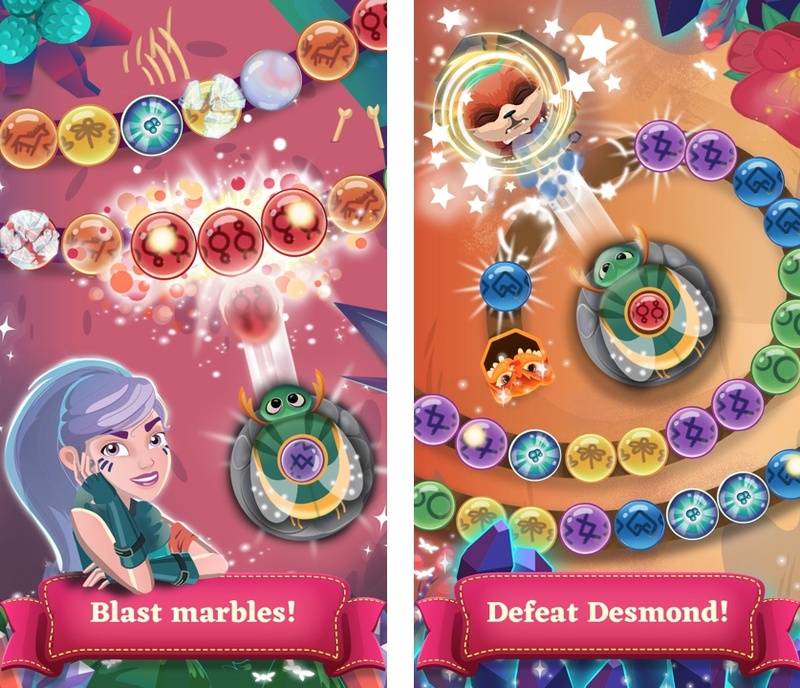 Match more than a single group of marbles in one go and you could set off a chain of combos that will provide you with magic abilities. These help you take out even more marbles, increasing your score to epic proportions. That will come in handy the longer you play, as later levels start to introduce new features that not only keep things fresh, but keep the challenge up just as you’re starting to get too comfortable. As an example, your marbles could get covered in ice, and you’ll have to break that ice before you can match them again. Marble Viola’s Quest isn’t interested in frustrating you though – it’s all designed to keep things fresh and challenging you just enough that you remain addicted. And it will hook you right in. Head on over to the Google Play (or the App Store!) to grab this match three puzzle adventure right now. The post Marble Viola’s Quest is a chilled out match three adventure out now appeared first on Droid Gamers.